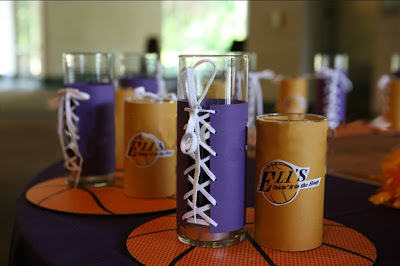 Our Bar Mitzvah boy LOVES the Lakers and wanted his party to reflect his passion for purple and gold. Here is the scoreboard we created for above one of the bars. This Bar Mitzvah was held at the beautiful Indianapolis Art Museum. Two entire walls were windows showing the perfectly groomed gardens. purple and gold LED lights in the glass cylinders. We made these table top runners to look like the basketball court… complete with Eli’s logo. 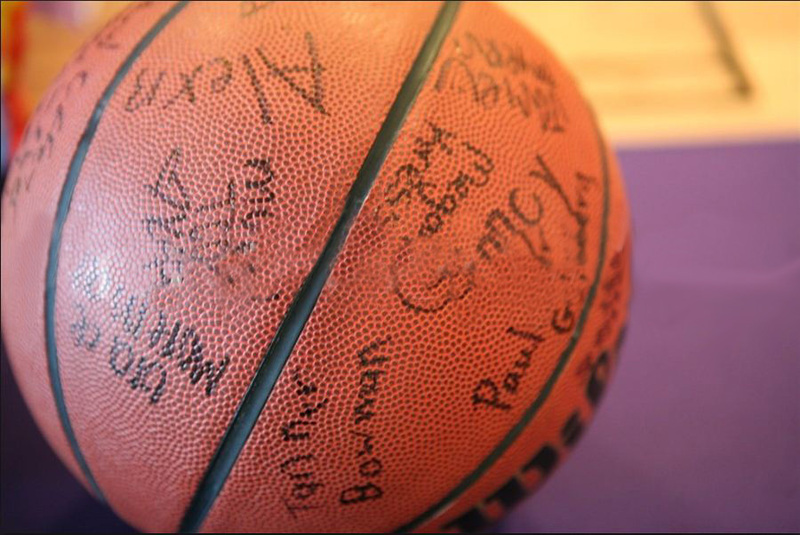 Real basketballs for the sign in. 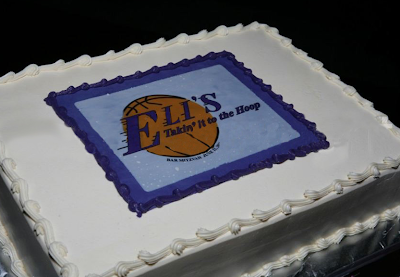 Even a cake with Eli’s Takin’ it to the Hoop logo. Mazel Tov Eli! This entry was posted in Bar Mitzvah, basketball, lakers, purple and gold, sports NBA on August 13, 2011 by Setting the Mood.